Local home prices dipped below $300,000 in February while fewer properties changed hands and more homes were on the market than one year ago. That’s according to a report released this month by the Greater Las Vegas Association of Realtors. GLVAR reported that the median price for existing single-family homes sold inSouthern Nevada through its Multiple Listing Service during February was $296,200. That’s down from an even $300,000 in January, but still up 7.7 percent from $275,000 in February of 2018. The median price of local condos and town homes sold in February was $165,000. That was up 10.0 percent from $150,000 in February of 2018. 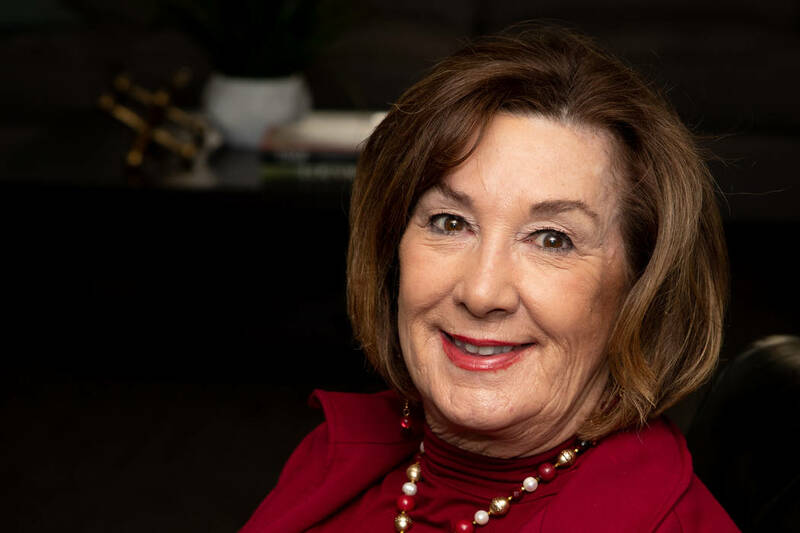 “Our home prices have been going up faster over the past year than almost anywhere else in the country, but they’ve been slowing down lately,” said 2019 GLVAR President Janet Carpenter, a longtime local Realtor. “This is consistent with what’s happening nationally. We’re also following national trends with our increasing housing supply and the decreasing number of homes being sold here. Home sales and prices usually pick up in the spring and summer, although there are signs that we may see a slower spring selling season than we have during the past few years.” While she was encouraged to see mortgage interest rates remain at historically low levels, Carpenter said headwinds in the local housing market include home prices that have been rising faster than average incomes in recent years. As a result, she said many sellers have been lowering their listing prices. In fact, some national reports have suggested that Southern Nevada led the nation with nearly 24 percent of all local home sellers cutting their asking price during the last year. Before slowing down in recent months, local home prices had generally been rising since early 2012, inching closer to their all-time peak. According to GLVAR, the median price of existing single-family homes sold in Southern Nevada peaked at $315,000 in June of 2006. Local home prices hit a post-recession bottom of $118,000 in January of 2012. At the current sales pace, Carpenter said Southern Nevada now has less than a four-month supply of homes available for sale. That’s up sharply from one year ago, but still below what would normally be considered a balanced market. By the end of February, GLVAR reported 7,134 single-family homes listed for sale without any sort of offer. That’s up 95.3 percent from one year ago. For condos and town homes, the 1,754 properties listed without offers in February represented a 158.3 percent jump from one year ago. The total number of existing local homes, condos and town homes sold during February was 2,508. Compared to one year ago, February sales were down 7.6 percent for homes and down 5.9 percent for condos and town homes. GLVAR reported a total of 42,876 property sales in 2018, down from 45,388 in all of 2017. At this rate, Carpenter expects sales numbers to be slightly lower this year than last year. GLVAR reported that 26.2 percent of all local properties sold in February were purchased with cash. That compares to 32.4 percent one year ago. That’s well below the February 2013 peak of 59.5 percent, indicating that cash buyers and investors are still active in the local housing market, but have been playing a much smaller role than they were during and just after the Great Recession. The number of so-called distressed sales also continues to drop. GLVAR reported that short sales and foreclosures combined accounted for just 2.6 percent of all existing local property sales in February. That’s down from 3.8 percent of all sales one year ago and 10.6 percent two years ago. • The total value of local real estate transactions tracked through the MLS during February was more than $689 million for homes and nearly $96 million for condos, high-rise condos and town homes. Compared to one year ago, total sales values in February were down 3.4 percent for homes, but up 4.5 percent for condos and town homes. • Homes and condos are selling at a slower pace. In February, 69.3 percent of all existing local homes and 69.7 percent of all existing local condos and town homes sold within 60 days. That compares to one year ago, when 79.8 percent of all existing local homes and 86.4 percent of all existing local condos and town homes sold within 60 days.